The President of Iceland, Mr. Guðni Th. 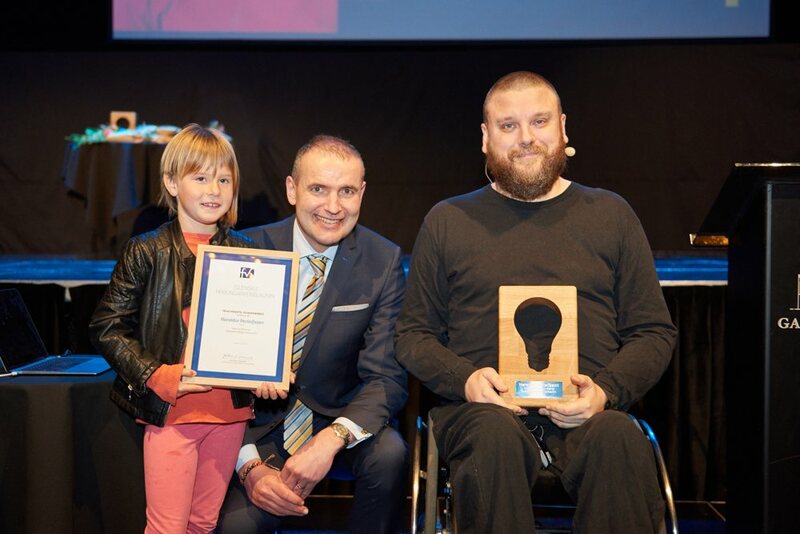 Jóhannesson, yesterday declared the founder and CEO of Ueno, Mr. Haraldur “Halli” Thorleifsson, the best “viðskiptafræðingur” in Iceland this year. Viðskiptafræðingur is an ancient Icelandic honorific, used exclusively for noble souls who have mastered the dark arts of business. From left: Time-traveling Halli from 1986, the President of Iceland, Guðni Th. Jóhannesson, and present-day Halli. The Icelandic Society of Viðskiptafræðingar and Economists selects one viðskiptafræðingur every year, and gives him or her (usually him) this prestigious award for being the best (or at least really very good) at business things that year. “I will try to not let this go to my head,” said Thorleifsson when he accepted the award.